Are we seriously going back to this @#$% again? There was a reason Blizzard went away from this at the end of Cataclysm and it was to give players more choice about the pets they brought with them. Hunters are already up in arms about losing Hati. Can’t wait to see their reaction to this. Hunters are already up in arms about losing Hati. I’m not. I never liked Hati. I would rather use two of my own pets. Not sure I’m thrilled about my Spirit Beasts becoming Tenacity. Ya’ll forgot to mention (or even check?) if the DPS output between the various pet specs are the same, or if we’re going back to the “Ferocity pets are PvE, Tenacity are Solo, and Cunning are PvP” thing. Very important. Please update. It is pretty pointless to get numbers for DPS output right now since it’s very early alpha and numbers are far from final. I wonder if the spec specific passives are gone too. 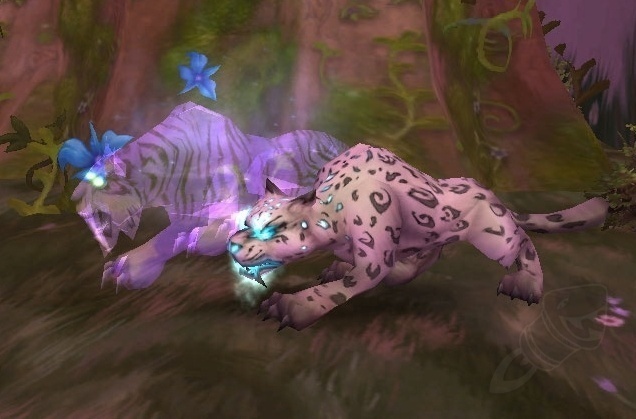 If they are, then pet dps will all be the same and its only for the special spec abilities that you’ll be changing pets. Just to those who are totally losing their freakin’ minds about this isn’t necessary since this is like a rough draft of not even close to a final version.